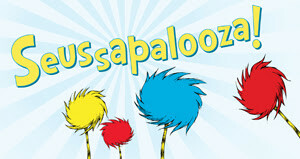 Chicago Shakespeare Theater’s (CST) Producers’ Guild announced today CST’s inaugural Family Gala, Seussapalooza on July 12, 2014, 11:00 a.m. at the Theater’s home on Navy Pier. This family-friendly event invites guests to enjoy the summer musical production of Seussical in CST’s Courtyard Theater, followed by a lively reception with hands-on activities and crafts for all ages. In keeping with the Producers’ Guild’s mission to support access to Shakespeare for all, funds raised will benefit the celebrated Chicago Shakespeare in the Parks program, which brings a free Shakespearean production to neighborhood parks across Chicago in the summer. CST’s Producers’ Guild, led by Rachel Bronson and Justine Jentes, is a dynamic auxiliary board for emerging leadership in Chicago’s cultural community that advocates and supports CST’s work on the Theater’s stages, in the community and abroad. The Family Gala is co-chaired by Karen and Tuey Connell and Robin and Timothy Sheehan. Proceeds from Seussapalooza will fully fund a designated park on this summer’s Chicago Shakespeare in the Parks tour of the wildly popular A Midsummer Night’s Dream, which will travel to 18 neighborhood parks across the city, July 18–August 17, 2014. 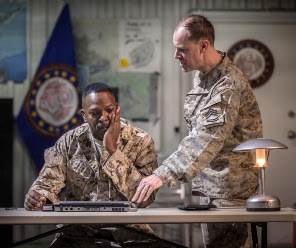 Since its inception in July 2012, this annual summer tradition has touched over 27,000 audience members on the north, south and west sides of the city. At each stop on the citywide tour, families and neighbors come together to share in the delight of a professional Shakespearean production. Seussapalooza guests will first be treated to a performance of Seussical in CST’s magnificent Courtyard Theater. This 75-minute Broadway musical comedy brings the humor and magic of Dr. Seuss to life onstage. Playful, energetic and full of whimsy, Seussical engages the imagination with clever lyrics and melodies, unforgettable characters and the vibrant rainbow of Dr. Seuss’s colorful world. Following the performance, attendees will proceed to a whimsical reception taking place throughout the Theater’s 6th floor lobbies and performance spaces, featuring a delicious luncheon, vivid décor and soaring views of the city’s skyline. Hands-on activities for children of all ages will include stage combat demonstrations by professional fight choreographers, aphoto booth with theatrical props and artful face painting, as well as crafts and other games. A silent auction with exclusive family fun packages will further support Chicago Shakespeare in the Parks. Seussapalooza Lead Sponsors include Beecken Petty O’Keefe & Company, Biagio Events, the Butler Family Foundation and Make It Better Magazine. Tickets for the event begin at $45.To join Chicago Shakespeare Theater in celebration of Seussapalooza, please contact Margaret Reeder at 312.667.4951 or [email protected].